I am so excited to be sharing my journey with you! My hope is that through my successes and failures, I can inspire you to go after your dreams no matter what stands in your way. Thank you for your support, I couldn't do this without each of you! Spouse: Conner Sieracki! We grew up together and began dating when I was quite young and married when I was 20. He is in the Army National Guard, so I can relate to those who have to deal with long-distance relationships (322 days apart). From rural Wisconsin, Breanna grew up on a family-owned dairy farm with her three older brothers and parents, attending Spring Valley High School. She was an all-state standout, earning 2nd place finishes both her junior and senior year in cross country, in addition to state championships in the 1600m and 3200m. All this, and her high school did not even have a track, having to practice around the school parking lot! After high school, Breanna attended University of Minnesota Duluth, where she was an eight-time All-American under Coach Joanna Warmington, earning a degree in Physical Education. Her first taste of elite competition following her tenure at UMD came at the 2017 USA Championships steeplechase. Breanna desires to be a motivational speaker and mentor to people of all ages with all different aspirations, stating, "I have shared my story and experiences with high school teams across Wisconsin and have felt so much joy doing so. I desire to give back and encourage people to go after their dreams." Perhaps it is her incredibly personable demeanor that gives her the feeling of connectedness and desire to encourage others. She says, "A smiling face brings me so much joy. As the only runner in my family and the first person in my extended family to run professionally, I see my career as a runner as an incredible gift not to be wasted. I do not do anything for my own personal glory, but to give all glory to God. His will be done on and off the track. I believe Jesus Christ died and was raised again for my sins. My talents are a gift from God which I use to glorify Him and Him alone. Jesus is my Reason to Rise." 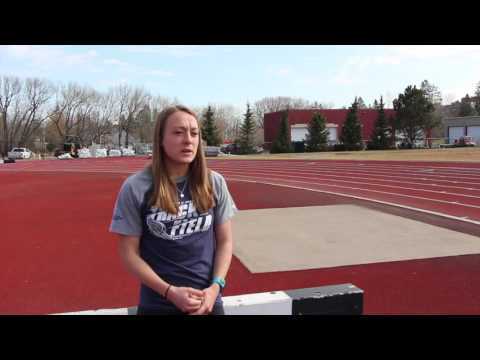 Breanna trains in the steeplechase with Team USA Minnesota in Minneapolis, MN while working as a teacher and assistant cross country coach for an area high school.